The aim of this cooperation is to compare radiotherapy at the level of process reliability and thus to improve the whole radiotherapy proces in safety and quality. Learning from each other is the credo. For the purpose of this collaboration a central database structure (benchmark) has been developed. This database contains anonymous data analysis reports from the participating institutions. In addition, each institution / department have access to a decentralized non-public part for the benefit of PRISMA. In the Netherlands this is an unique approach. Not just learning as a sector of each anonymous and filtered PRISMA data, but also the use of one central database where the data analysis can be seen by the institutions individually is new healthcare. A parallel can to be drawn with the airplane industry, which already has a long experience with exchange of information on matters that have gone wrong. In healthcare there is a generally need for well-founded research in the field of safety. The WHO 2008 report ‘Better Knowledge for Safer Care’ describes this requirement as ‘the global burden of unsafe care’. In addition, there is the need of the field (members PRISMA-RT) from the general purpose “recurrence of incidents as small as possible” To create the possibility to compare reports of several members with each other, a benchmark analysis module is developed. By continuously increasing the content of the benchmark to a higher level, the analyses will also improve. The members are also asking for practical examples where the PRISMA-RT system can be leading. There has been exploration for a year by the board members and an expert team with a number of safety experts / scientists to these possibilities. 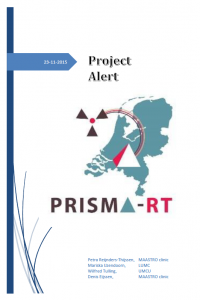 In recent years, several benchmark analysis for members have been prepared by the expert team of the PRISMA-RT. However, the establishment of practical cooperation based on collective experience problems appears to be a challenge for the collaboration. In 2014, we started with project based research in which the following subjects: alert problems, breath-hold performance and EPID / MVI matching problems. To analyze the PRISMA reports systematically and solid, it is important that the PRISMA report analysis is done in a similar manner. To train and verify the analysts the interobserver reliability is determined. Compare with the golden standard at the level of root causes (level 3). 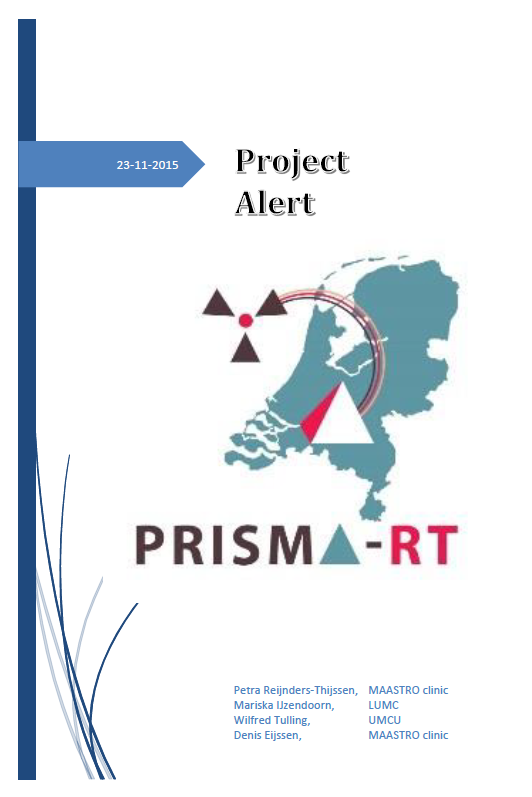 Giving dedicated PRISMA training on request for analysts and / or radiotherapy institutions that demand. The training consists partly discussing the theory and partly analyzing of own incident reports. 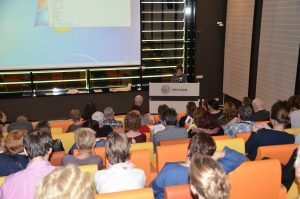 Annually in fall a day is organized including discussion some special incident reports combined with practical workshops. 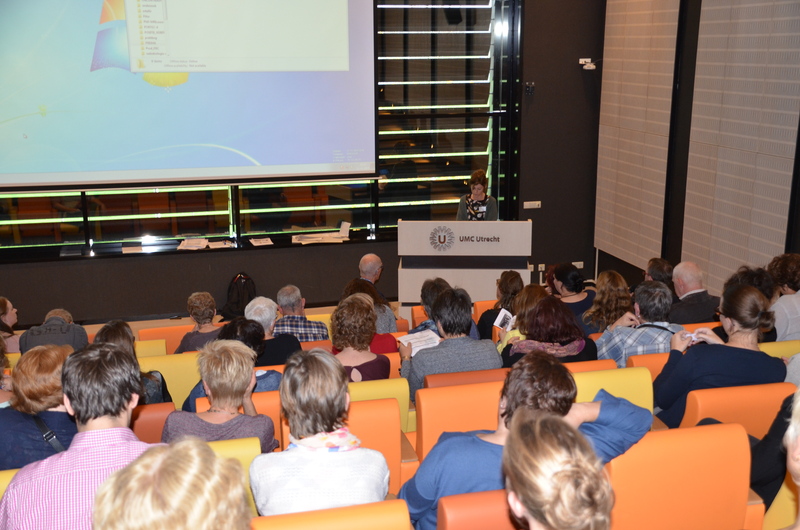 The main topic of this day is the mutual learning and exchange of information.